Donating your time to the benefit of others is important and as an architect, the opportunities to use our abilities and knowledge to perform community service are plentiful. 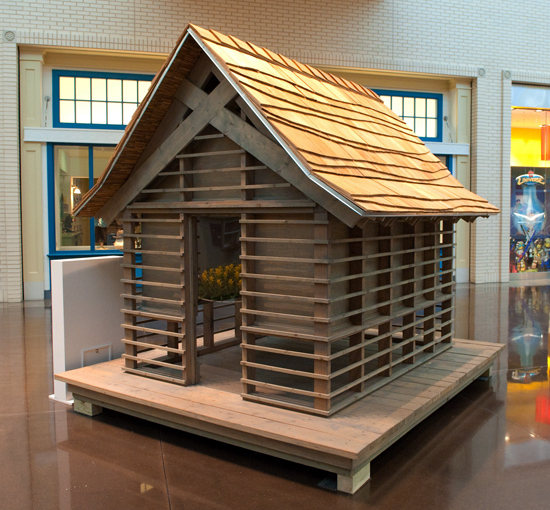 Once again, I will be participating in this year’s Dallas CASA Parade of Playhouses. CASA (which stands for Court Appointed Special Advocates) is a nonprofit organization of community volunteers trained and supervised to serve as voices in court for abused and neglected children. On any day in Dallas County, there are nearly 2,000 children waiting for a safe place to live. Many times the CASA volunteer is the only constant in the child’s life during this very difficult process. Parade of Playhouses raises funds for Dallas CASA to continue serving more children who need safe, permanent homes where they can thrive. This competition will be open to all 1) State of Texas registered architects who have been licensed for ten years or less, 2) architectural interns who are members of TSA and 3) architectural students enrolled in an accredited Texas university or architecture high school program. Entries can be submitted either by an individual or by a team. There is no limit to the number of entries an individual or team can submit under separate registration numbers. Registration for this competition will be required and available through YAF’s blog. **there is no fee required to enter** It is important that all entrants register by the registration deadline of Friday, March 4th. Thursday, February 3rd – Registration information goes live. Friday, March 4th – Registration Deadline. Wednesday, April 27th – Submission deadline. Deliverable to be a 24×36 vertically oriented JPEG format emailed to AIADallasYAF@gmail.com (file size not to exceed 5MB). Email should clearly state entrant’s anonymous registration number (assigned during registration) in the subject line. In the event of multiple submissions from the same designer, they should be labeled under separate registration numbers. The entrant’s name, or any identification, should not be included on the front of the submitted design. Friday, April 29th – Preliminary evaluation round by YAF competition sub-committee members to bring number of final entries to be judged to manageable number of semifinalists entries. Monday, May 2nd – Semi-finalists will be notified that they have advanced to the jury round. The entries will be printed out full sized and mounted to foam core for final judging. These boards will remain the property of Dallas CASA. Friday, May 6th – Final Judging at AIA Dallas/Dallas Center for Architecture. Winners will be announced at a reception at the Dallas Center for Architecture at a cocktail reception. The registration website is up and running over on the AIA Dallas Young Architects Forum and I hope that if you are in the area you will consider donating you creativity to this event and you will submit a design for consideration. You can see some of the entries to last years event here and you can see some examples of other playhouses that were on display at last year here. Thank you everyone, I really hope to see you.